A conjoined twin (Violet Hilton) shoots her sister’s con-artist husband (Mario Laval), and stands on trial for murder. As Peary notes, this “extremely dull” exploitation film starring conjoined twins Daisy and Violet Hilton truly is a “curio” more than anything else. As in the Hilton sisters’ only other movie (Tod Browning’s cult classic, Freaks), “freaks” of nature are cruelly used and jilted by the “normal” folks around them — but in this case, the “freaks” are forced to stand trial in “normal” society rather than banding together to mete out vigilante justice. Despite its dull storyline, however, Chained for Life does include several interesting scenes (as when Violet is “fantasizing she is a normal woman and dancing with [her lover]”), and it presents viewers with some provocative dilemmas: Would you sentence Violet for what she did? And what would happen, logistically speaking, if one of a pair of conjoined twins was sentenced to jail? No. 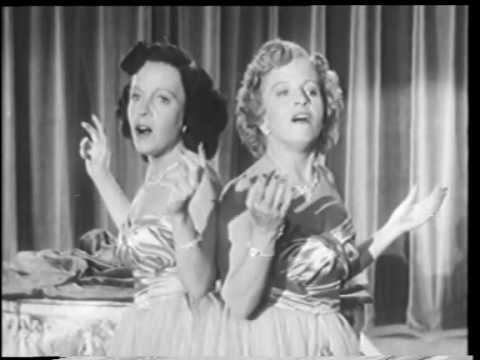 Watch the infinitely superior Freaks (1932) to get a more interesting, albeit shorter, glimpse of the Hilton twins. This is a very tough call since it’s such a ‘singular’ film (and some ffs may very well see it as such). Their rendition of ‘Never Say You’ll Never Fall in Love’ is particularly touching. And, yes, the dream sequence may move you as well. Oddest of all, the film may work on you on a separate level, as you re-think what it means to be human.